From detailed up-dos to romantic curls there is truly nothing we can't create. Your vision is the most important to us, and making that hair that "never holds" stay is what we do best. Being well versed in the hairstyling world we can prepare that hair to not fall down, resist the wind, and even last throughout the night! We pride ourselves in the ability to make anyone feel absolutely stunning on such an important day in their life. Using the best of the best products to complete our looks aids to our years of experience as professional makeup artists. We get requests for ultra glam to soft and natural. Making you feel unstoppable and letting that beauty shine! Making sure you feel relaxed and pampered is one of our top priorities. With this being said we know how frustrating traffic or traveling somewhere inconvenient can be for our stunning clients. That's why we offer on-location services, coming to you at your convenience. Sit back, relax, and let us make you feel like the queen you are! "Veronica was so professional and was punctual. She did my bridal trail which she listened to the things I asked and she would ask me if there was something I wanted different or if I was satisfied with my makeup. 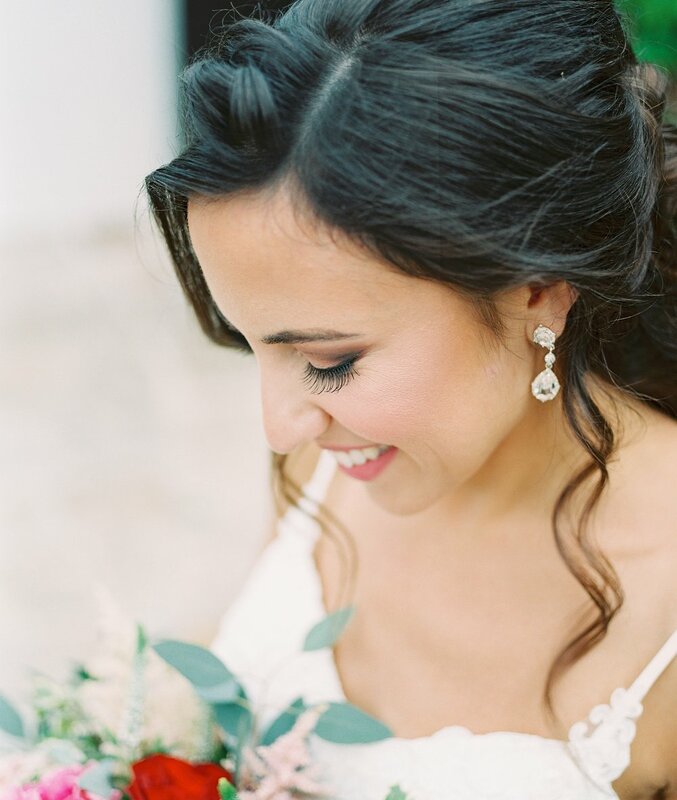 She made me feel so pretty the day of my wedding! Everyone loved my hair and makeup and even after my wedding people still ask me who did my hair and makeup. My makeup looked natural and glam. Thank you Veronica!!" "There is so much goodness to say about Veronica! She's professional and knows her stuff, while keeping the customer/party very relaxed and comfortable. She had a diverse group of bridesmaids in our party and she managed to leave each of us incredibly happy even though we wanted such different things. Highly recommend her if you want someone who will keep calm, make you smile, listen to you, and do great work with your hair and makeup!" "Veronica is the most professional, considerate talented makeup artist I've ever had the pleasure of working with. My family and I looked flawless on my wedding day. She has experience working with all skin tones and she is able to recreate any idea my family and I had and then go above expectations. I still get compliments on how fabulous I looked on my wedding day. She was able to work with my schedule and extremely flexible." Veronica Fensel is a luxury hair and makeup artist based out of sunny Orange County, California. She has been professionally trained by MAC cosmetics in many different areas of beauty. This makes her incredibly flexible in the services and the styles that she is able to offer, making her conveniently versatile for any bride or model. With years of experience in the industry she can create breathtaking looks, and will ensure that it lasts throughout the entire day. Her work has even been published internationally in both print and online sources. Veronica enjoys testing out new products and has a soft spot for Sea Turtles.